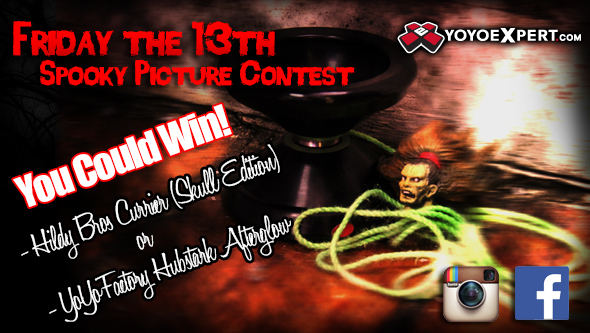 YoYoExpert Blog & Yo-Yo News – Friday The 13th Spooky INSTAGRAM Contest! Submit Your Spooky Instagram Yo-Yo Picture and Win! It’s Friday the 13th Everyone! Grab your flashlight, check under the bed, and turn on all the lights in the house! And in case you haven’t heard there’s a full moon tonight too! I’m not saying we’re superstitious or anything but let’s just say you won’t catch any of us walking through a graveyard or dark alleyway tonight! 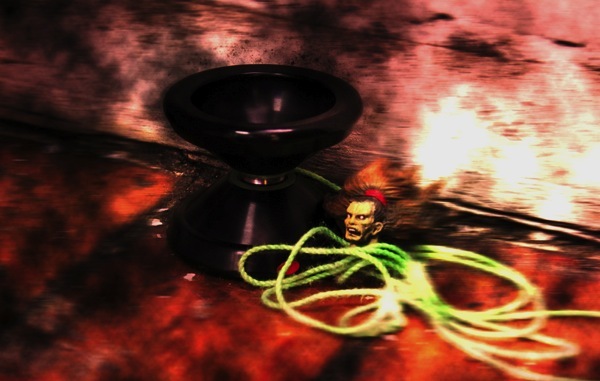 Post your best creepy, scary, or spooky yo-yo picture ON INSTAGRAM and you can win! – Be creative, we don’t want to see recycled Halloween pictures! – Photo Editing is allowed and encouraged! – The Contest will run for 1 week – judging will begin on June 20th! 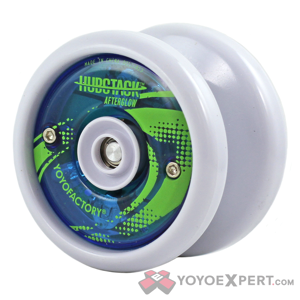 – The top 5 Favorites will be selected by the YoYoExpert Staff and the votes will be cast on Facebook to select the winners!